I fell in love with the website. It focuses on the best practical tips for your skin and health, the latest in hair care, virtual makeover tips, anti aging secrets, hair loss, insider tips from the experts, and much more! Their website is recommended for young women, older women, and Grandmothers. Basically women of ALL ages. I have never thought about how various cities can be good, or bad for your skin. However, when you think about it, it definitely makes perfect sense. After watching Daily Glow’s video, I began to think about various climate statistics and skin cancer rates. Your skin and complexion really does say a lot about where you live! Be sure and check out Daily Glow’s quiz to find out if your skin looks youthful and healthy or washed out and fatigued. How Healthy Does Your Skin Look? Follow Daily Glow on Facebook and Twitter! Our Mission – To provide a smart, fresh perspective on healthy beauty, with credible, solutions-oriented information that helps women look their best. To submit a Member Tip for consideration, e-mail it to the Daily Glow editors at: membertips@dailyglow.com. 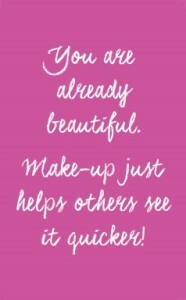 Beauty tips passed on over the generations are the best kept secrets. The natural, less rigid methods will prove better and give longer lasting results with fewer side effects. And most importantly, they will receive the approving eye of your mother and grandmother too. Beauty is an age old art, explored over the centuries in various manners to achieve perfection. Women have been interested in numerous ways of staying young and beautiful and enhancing their looks since time immemorial. If you look around you, your mom, grandmother, aunts and great-aunts, you will discover the various beauty rituals their generations have followed to enhance their physical appearance as well as inner beauty. Beauty secrets that have been passed on over generations are the best kept secrets, as they assure healthier, better results than most modern, synthetic methods. Most important of all, they will receive instant approval by your mom and grandmother. Here are a few tips that would help enhancing your beauty the natural way, with guaranteed positive feedback from your mom and grandmother! Try these home remedies yourself, improvise where needed and change where necessary to suit your skin tones/contour. You will be amazed at how effective some of these age old beauty secrets are. Talk to your mom, grandmother and relatives to learn more about the beauty regimes of their times, non-commercialized, health friendly methods that will make your beauty last longer and remain healthier the comfortable way. Opt for these natural therapies that have less side effects and assure longer lasting outcomes. But most important of all, remember that beauty comes from within, so work on spiritual cleansing too. 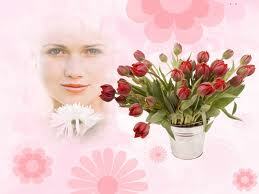 If you feel happy, content and maintain good health, your looks will definitely benefit. Inner cleansing is the best way to achieve glowing skin and a beautiful complexion. Practice good thoughts and become a glowing beauty yourself. Bizymoms.com has been helping women work from home for over 10 years. Now, Bizymoms strives to be the number one resource website for women by including many informative sections that focus on women’s issues. Our Beauty and Style section includes beauty tips, ideas and techniques to help you look and feels your best.